Hidden Lakes - Home comes with a 30-day buyback guarantee. Terms and conditions apply. MLS#3491780. Opendoor Brokerage LLC. Ashbrook Park - Must see to truly appreciate this house that feels like home! MLS#3492888. Tarheel Realty II. Jan Joy Acres - A Home like this Won't Last so Don't Wait to See it! MLS#3491385. Tarheel Realty II. 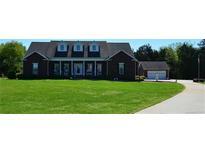 Conveniently located minutes from I-77 and short commute to Statesville and Mooresville. MLS#3491826. Realty ONE Group Select. Come in and see for yourself the potential of this home for your family! MLS#3473864. Keller Williams Mooresville. Large covered porch, perfect for enjoying the outdoors. Covered parking. MLS#3492807. Tarheel Realty II. 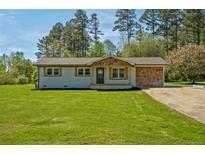 This is a GREAT starter home sitting on 1.27 acres in quiet a cul de sac... MLS#3492528. GGs Legacy Properties, LLC. Shannon Acres - Updates include: Electrical work, tree removal, plumbing and more! Golf Course Lot! MLS#3491543. Allen Tate Statesville. Brookdale - Formal Living Room As Well As A Beautiful Sun Room. MLS#3491521. RE/MAX Properties Plus, Inc.. This could be your forever home! MLS#3491004. EXP REALTY LLC. The nearby Statesville Country Club offers golf, swim, tennis, and many other activities for its members. MLS#3490299. Keller Williams Mooresville. Hidden Lakes - Wired outbuilding.ONE YEAR HOME WARRANTY BEING OFFERED. MLS#3490419. Lake Norman Realty, Inc..
Dalwan Heights - Fireplace and Wood stove non working. Bring offers! ! MLS#3481125. Lake Norman Realty, Inc.. The seller has 6 adjacent lots also for sale. MLS#3491168. RE/MAX Properties Plus, Inc..
Dryer vents into the laundry room. MLS#3490797. Doug Madison Realty. Great for small family, first time home buyer, or an investment. MLS#3490952. Ronald Scott Properties Inc.
shannon acres - Custom Tile in all bathrooms, jacuzzi, Step out to an inviting large screened in porch and from there out to a double huge deck that overlooks your private backyard which Includes parcel 4765-12-9049.000 (Brookmeade Drive) This is a must to see! ! MLS#3490150. Allen Tate Statesville. All new siding, new windows, all new appliances, new roof and insulation, new water heater, new garage doors and windows, patio very private, rocking chair front porch. A must see! MLS#3490971. Allen Tate Statesville. SHANNON ACRES - There are heat vents in basement but not finished.Nice Fireplace in basement .. Move right in!! Also tremendous potential! ! 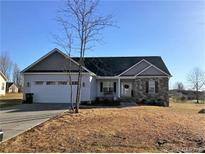 MLS#3490710. Allen Tate Statesville. Danbury Forest - Home needs some work; being sold AS-IS. MLS#3491373. TMR Realty Inc..